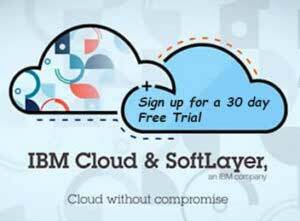 IBM Cloud encompasses a much larger scope that includes native SoftLayer and open source options, Bluemix/PaaS, as well as extensive cloud solutions and services. Why can’t I do “lift and shift” on other cloud platforms, e.g., AWS or Microsoft Azure? In simple terms, you’ll need access to the virtualization host in order to “fully” operate your VMware environment (as you’d be used to it from your own data center). Neither AWS nor Azure allows you this level of control; they also run different hypervisors. SoftLayer allows you to deploy and manage physical hosts in addition to standard virtual servers. Why would I do “lift and shift” on SoftLayer and not on VMware’s own public cloud? Have “full control” beyond what is specifically exposed as a “service” in vCloud (there is no access to the physical ESX hosts).